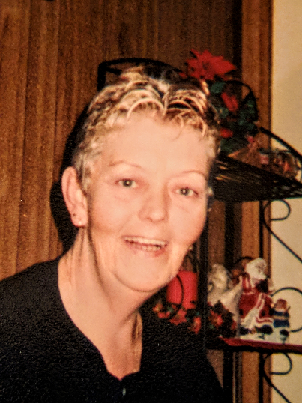 Deborah Lynn “Debbie” Perrine age 65 of Webster Springs passed away November 7, 2018 at Select Specialty Hospital in Charleston. Debbie was born October 19, 1953 in Webster Springs and was the daughter of the late Ray and Myrtle M. McCourt Perrine. Along with her parents she is also preceded in death by her sister Eleanor Grace Perrine. Debbie lived in Mobile, Alabama for many years and was a retired secretary from Dawes Grass & Landscaping Supply in Mobile with over 20 years of service. Surviving are her sister, Katie Dilley and her companion Jesse McCourt; a nephew, Jason Dilley and his wife Melissa; great nieces and nephew, Desirae, Catherine, Daymione and Rayven and all her special friends at the Elk River Terrace Apartments in Webster Springs. Service will be 2:00 PM Monday November 12, 2018 at Dodd & Reed Funeral Home, Webster Springs with Brother Denny Mustoe officiating. Burial will follow at Miller Cemetery, Webster Springs. Friends may join the family for visitation one hour prior to the service at the funeral home. Dodd & Reed Funeral Home is honored to be serving the Perrine family.